The Cognitive Principle Matrix has been developed over a 15 years period and investing 15,000 hours of research and testing. 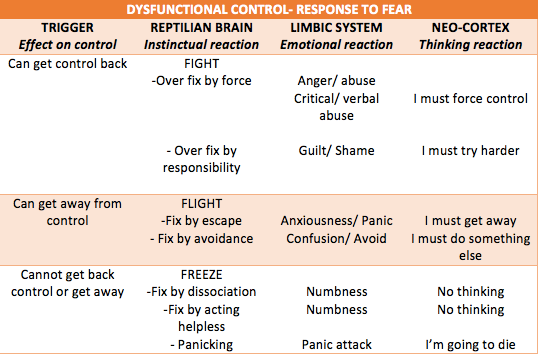 It is now time to tackle phase 2 and change human natures' understanding of fear. 1. Social engagement system [heart] - 100-160 million years old [Mammalian brain] We are social animals connected primarily for survival. 2. Sympathetic adrenal system [gut]- 300 million years old. [Reptilian brain] That is our fight-flight response. Origin ally we were driven solely by instincts, which activated the second and third systems. These two systems are still powerful when we respond to unexpected threats. The mammalian brain developed and not only compared [comparative mind] and was driven by instincts, but also predicted [predictive mind] threats in advance. This improved their safety if they made successful predictions. The predictive mind has developed over a long period. Every decision we make is from the predictive mind and it works at least one third of a second faster than our conscious mind. As a modern human being we have predicted for 64,000 years that an emotional threat will lead to a physical threat and this was largely true for most of that time, but now it is not true in advanced countries. We now make false decisions when faced with fear. The outcome is dysfunctional as show below, unless a physical threat actual happens. 1. When faced with an emotional fear, shown courage, trust myself and solve the problem or accept it. 2. When faced with anger, become assertive and restore the disrespect or accept that I can't fix it. 3. When faced with non -acceptance, evaluate the situation, then either accept it or reject it. 4. When faced with others or myself lacking commitment, use self control and fix the problem or accept it. I am now teaching how to overcome the problem of emotional threats causing unwanted anger, anxiousness, addictions and depression, but I am only starting on this journey. Politicians will be forced to offer long term positive solutions to solve problems, not short term fear based solutions. The news media will off positive news about solving negative problems, because we will demand it. Advertisers will be forced to promote the real benefits of products and services. The solution is not as far away as you might think. Can You identify your backup personality when with different people? Which comes first, the Trauma or ADHD? Is your husband having a midlife crisis? Copyright © 2017. Cognitive Principle Therapy Pty Ltd. All Rights Reserved.